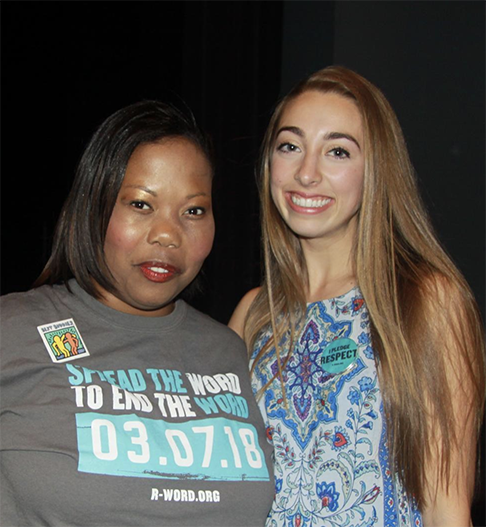 Jordan Tralins '19, President of the Shorecrest Upper School SPARC club, brought a guest speaker to school as part of the "Spread the word to end the word" movement. SPARC's guest, Kellie, a Best Buddies Global Ambassador, shared her story of being bullied due to her intellectual disability. She challenged everyone to eliminate the use of the derogatory R-word from everyday speech, and promote the acceptance and inclusion of people with intellectual disabilities by replacing it with a new R-word, RESPECT. Interested students were given a link to pledge their support online.